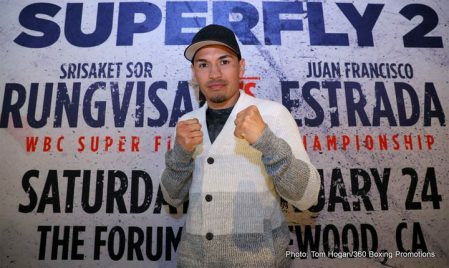 A huge crowd of local media was on hand in Downtown Los Angeles on Tuesday afternoon to attend the Press Conference for SUPERFLY 2. 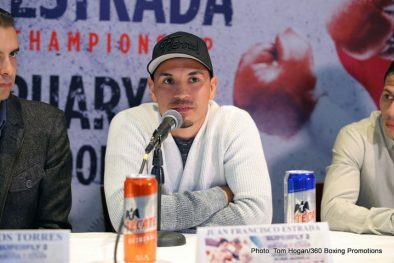 The event takes place Saturday, February 24 from the Forum in Los Angeles and will be televised live on HBO Boxing After Dark® beginning at 9:30 p.m. ET/PT. 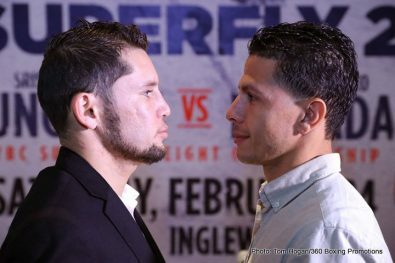 Tickets for SUPERFLY 2, priced at $250, $150, $100, $60 and $30 are now on sale and can be purchased through Ticketmaster (Ticketmaster.com, 1-800-745-3000) and the Forum Box Office. 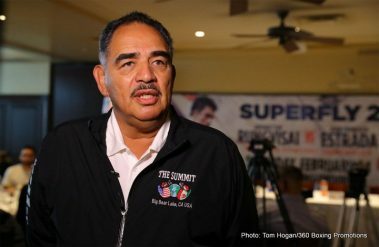 The Forum is located at 3900 W. Manchester Blvd, Inglewood CA 90305. 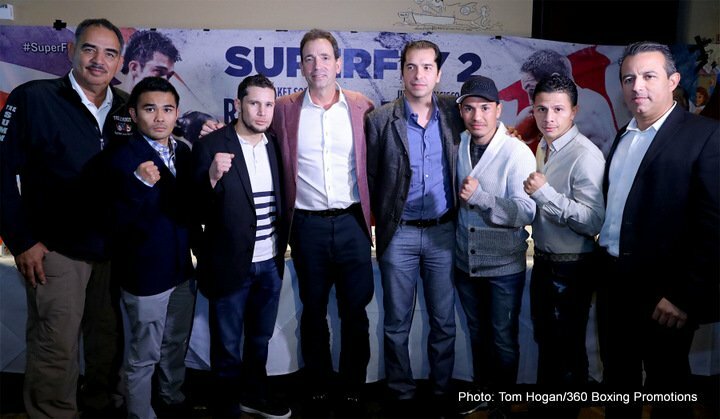 SUPERFLY 2 is headlined by WBC Super Flyweight World Champion SRISAKET SOR RUNGVISAI, (43-4-1, 39 KO’s), of Si Sa Ket, Thailand, defending his title over 12-rounds for the second time against former world champion and #1 ranked mandatory challenger JUAN FRANCISCO “El Gallo” ESTRADA, (36-2, 25 KO’s), of Sonora, Mexico. 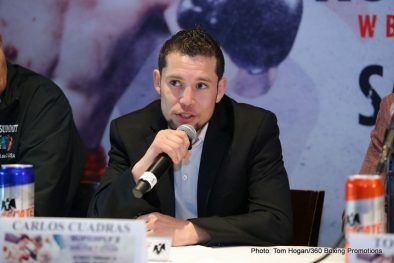 Co-featured on the HBO Boxing After Dark telecast, former WBC Super Flyweight World Champion, CARLOS “Principe” CUADRAS, (36-2-1, 27 KO’s), of Mexico City, MX facing hard-hitting, two-time world title challenger MC WILLIAMS ARROYO, (16-3, 14 KO’s), of Fajardo, Puerto Rico in an outstanding ten round super flyweight clash. SUPERFLY 2 is presented by Tom Loeffler’s 360 Promotions in association with Nakornluong Promotions and Zanfer Promotions. 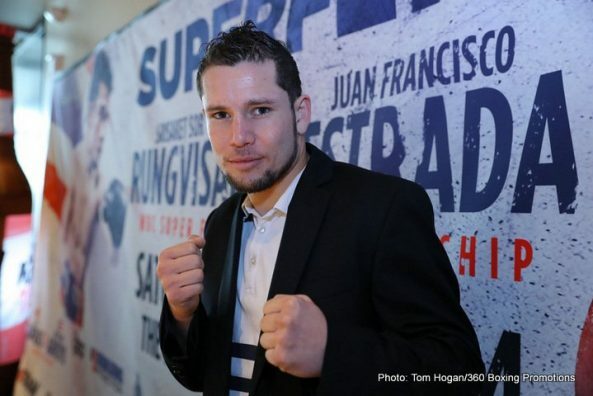 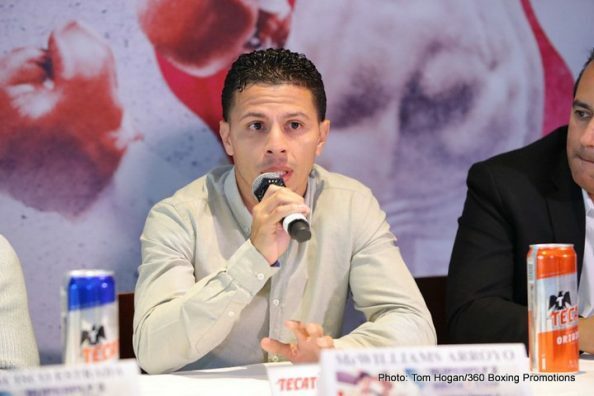 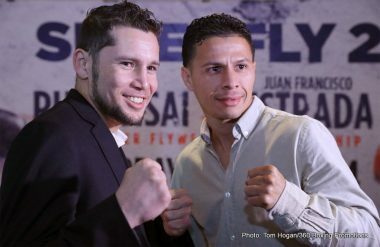 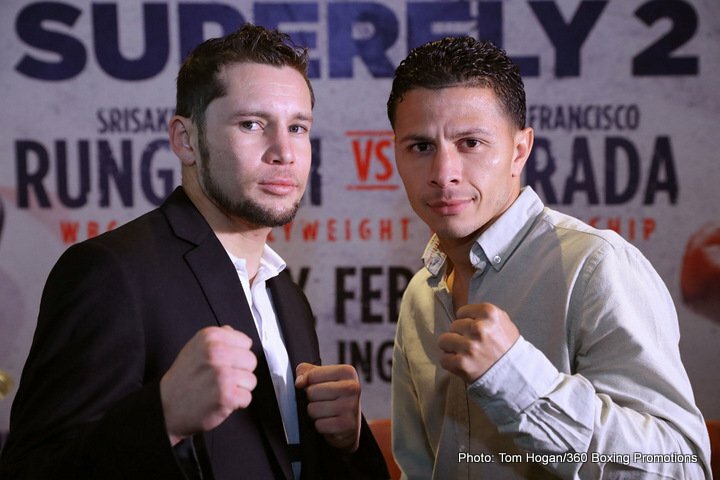 Cuadras vs. Arroyo is presented in association with Promociones del Pueblo and PR Best Boxing. 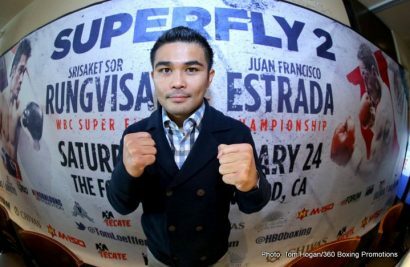 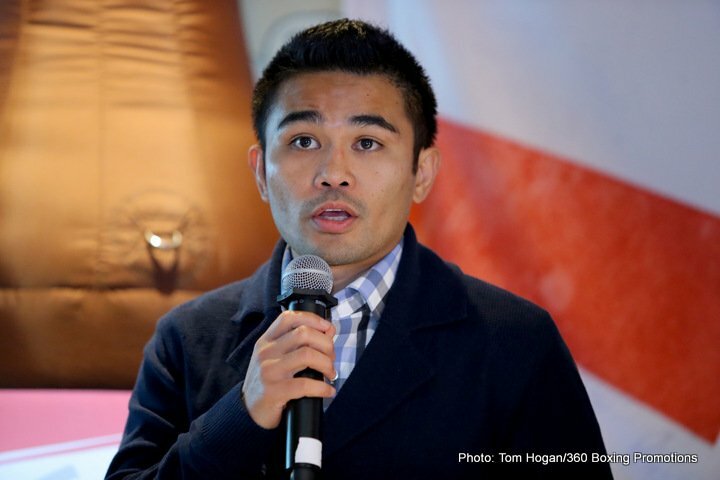 Viloria vs. Dalakian is presented in association with Teiken Promotions. 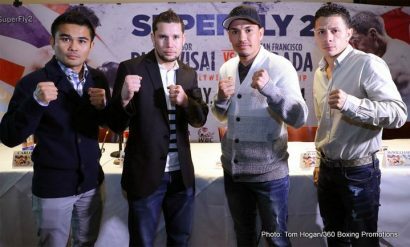 Nietes vs. Reveco is presented in association with ALA Promotions.